If you need Frigidaire HVAC parts, start by finding a local contractor. 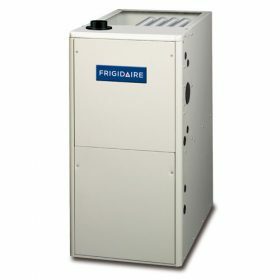 Have you come here looking for Frigidaire parts for your heating or air conditioning system? Unfortunately, we do not supply HVAC parts directly to homeowners. Although rolling up your sleeves and doing a DIY project can be a good way to save money, it is best reserved for things like painting a bedroom or planting a garden – not on equipment that requires intense training and education in order to fix or install properly. Where can you find Frigidaire HVAC parts? If you are looking for parts for your Frigidaire heating and cooling system, the best place to start is with your local contractor. They will be able to get the parts your HVAC system needs in order to get it back in top-top shape. Start with the Frigidaire dealer locator – put in your zip code and get a list of the Frigidaire HVAC specialists in your area. Why do we discourage DIY maintenance? Heating and air conditioning equipment is complicated. The industry is constantly changing and equipment is constantly evolving. Contractors continually go through training to make sure that they are aware of industry changes, new equipment that is available, the regulations that have changed, etc. A generic article on the internet about how to fix your HVAC equipment could be misleading, for the wrong system or outdated. What should you do if your HVAC system isn’t working? If our simple HVAC troubleshooting tips don’t work, drop that wrench and pick up the phone! Your local Frigidaire heating and air conditioning specialist will be the right person for the job. If parts are needed for your air conditioner or furnace, they will be able to get them through their Frigidaire distributor. There are many things that can go wrong when you fiddle with your heating and air conditioning equipment. Everything from decreased efficiency to a completely broken system can result from making the wrong move during DIY maintenance. What are some other ways to cut heating and cooling costs? If your air conditioner or furnace isn’t working and needs a repair, it may be time to invest in a new system. New heating and air conditioning equipment may operate more efficiently than your old equipment and contain additional features that can make you feel even more comfortable in your home. Also, always invest in a quality heating and cooling contractor to fix your equipment. As one of our contractors has said, “If you think it’s too expensive to hire a good HVAC contractor, see how expensive it can be to hire a cheap one.” If your air conditioner or furnace is broken and needs parts, hire the professional who you know will get the job done right the first time.